25 of the 100 required Spools for my Liberty Quilt. I have a bit of eye candy causing me distraction though. 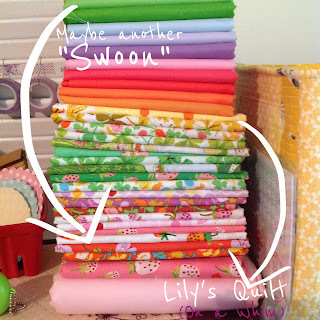 for my (whoops, Lily's) new On a Whim Quilt. on the top and the "On a Whim" on the bottom. Now, I need some advice / Help. Do you love your washing machine and or dryer? If so please tell me what you have and what you love about it. I have no specific brand in mind. I've always had a top loader, so what's your thought on front loading? All I know is that I need a large machine for my growing family of six. Hi Sharon, love all of those fabrics. Lucky you and Lily ! My advice is for a top loader. I have had my 7kg Simpson for nearly 13 years with no trouble. And with our family of 7 it's on everyday! A few girls I know bought front loaders and they often leak and they don't fit in as much. Hope this helps. I've had a Fisher adn Paykel smart drive for umpteen years with no trouble and they dryer's great too tho I don't use it much. Love your Liberty spool blocks Sharon - the colors are amazing. I have a Sim pson top loader and it gives no grief, also Simpson dryer which I've had for years but don't use much either. I am trying to remember why someone told me not to buy a front loader, but sorry I've forgotten what they didn't like about it. Love your blocks! I have a 9.5kg top loader and love it. Tried a front loader for a while which annoyed me - getting the wet clothes out and they always seemed to land on the floor. It seems Simpson is the winner. I have a 8 kg one and love it. It takes a BIG load and also can wash my quilts and donnas.... Have a Simpson dryer too but hardly need to use it here. I have a front loader and just a word of caution do not leave wet clothes in it overnight or you'll end up with a smelly washer also remember to leave the door always open when not in use and to wipe down the rubber door seal after your final was or you'll get the same smelly results, take it from someone who did both of these with my new machine.....also the cycles are very long if you need to do a very dirty load some over 2-3 hours yikes! The only thing going for mine is that my FIL built a bench above it and the dryer so I could fold my washing but that's about it, I'd go for a top loader if I was you and you have the space :) Barb. Your spools look wonderful Sharon. I have a Fisher and Paykel top loader. It has a muddy cycle which I love for footy season! I haven't had any problems with it. I prefer a top loader and you can always add that sock or undies that you dropped on the way to the laundry once the cycle has started! Your spools are looking great. I have a top loading "high efficiency" Fisher and Paykel. It's a top loading machine with front loaderh water efficiency (bought in the midst of a drought)........which is great for water saving but it's a shocker for washing clothes. I am planning to go back to a regular top loading machine. Would love to hear what you end up choosing. Sharon. I can't believe how many spools you have made! You only got the fabric the other day. I have a small Fisher Paykel top loading washing machine that is about 13-4 years old and only had the service man here once. I also have a small Kelvinator dryer about the same age but I don't need it that often. My recommendation would be always a top loader. My mother-in-law has a front loader and it takes 3 times as long to do a load as mine does. Also the prime reason given for front loaders is that they use less water. But get real! You are washing. How can you wash a whole load of dirty washing with only a few litres of water. Try and do that in a bucket and see what you are washing in. Fabulous spools and a lovely new bundle of goodies. Don't do the dryer thing as they chew through so much power but our Simpson top loader has never missed a beat. Did have a F&P when first married but wouldn't have another one. 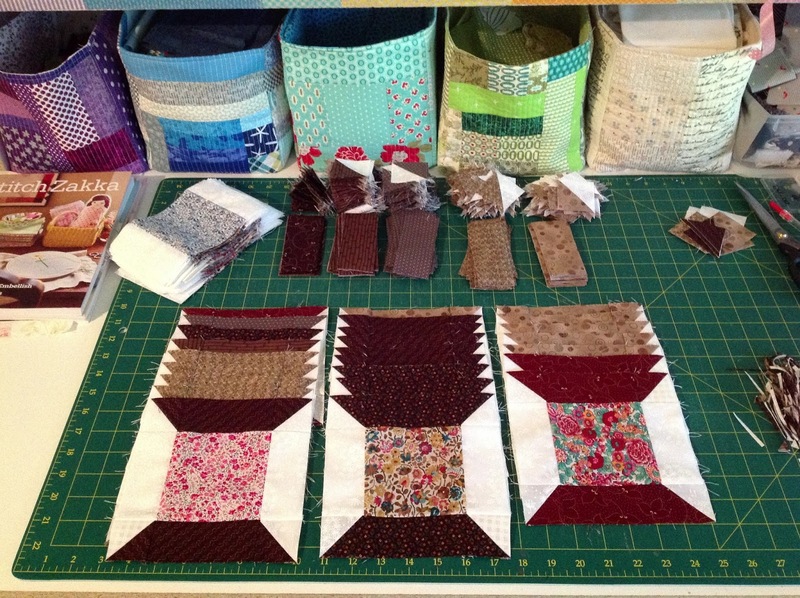 Love the liberty spools quilt! spools coming along well and some lovely fabric. Re machine sorry cannot help, here in the UK we seem to go for front loaders and do not have a dryer, love to peg out but at times have to use an airer in the house, there is only me though not 6 of us!Think you are in for a "£big spend"
Love the spools, you are a powerhouse! I have a Fisher and Paykel and love it. Your fabric looks great and my have you been busy. So what did you buy? We need to organise a girls' weekend so we can watch movies, chat, eat and sew quilts all at the same time. Love that fabric, would like to add it to my stash! Spools look fantastic Sharon! You have been busy. We have a Whirlpool 7.5kg heavy duty - wonderful with the muddy soccer gear...especially when you cop the gear of the whole team! Not super water efficient but has gone like a charm for years. you are a sewing dynamo Sharon, love your spools! I have a large top loader whirlpool machine, It is great not all digital buttons but old fashioned knobs- but two things it doesn't have that I wish it did is a lint collector and it doesn't stop automatically when out of balance. these are features I would look for next time for sure. Love your spools! As soon as I saw them I thought of chocolate... they look so yummy. 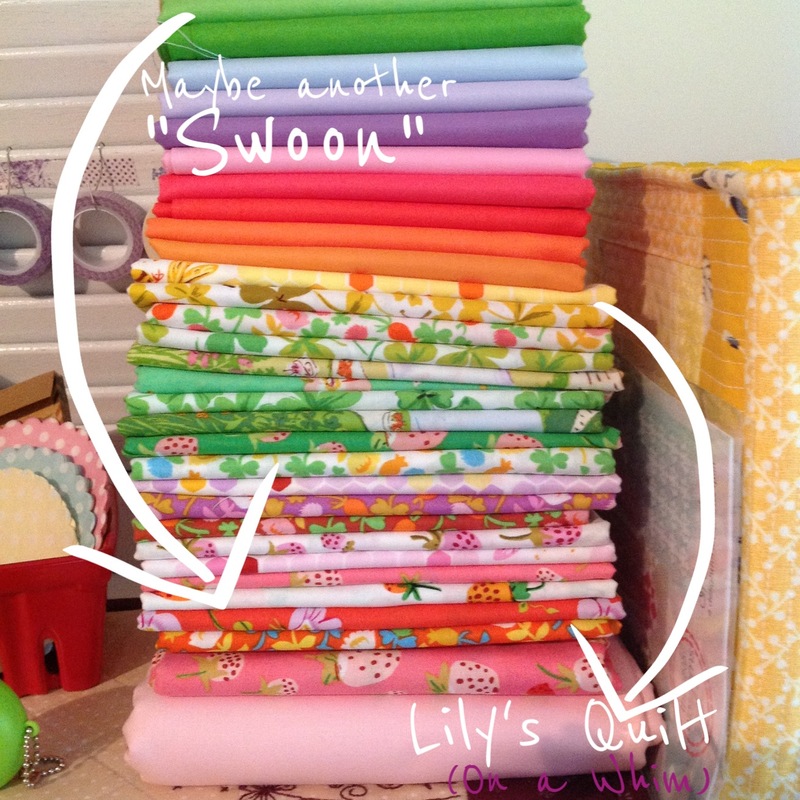 Can't wait to see what you do with that heap of gorgeous fabrics. Can't give advice on washing machine brands but.. I do have front loaders and I love them. I am still intrigued with the spool blocks. Yours are beautiful - what size are they? Did you choose a new mahine yet? I agree with Susan I bought a top loader that uses front loader detergent and it is crap. If i put one too many items in it everything comes out with a coating of soapy scum. After 2 years I have finally had enough and am going to ditch it and go back to the old fashion kind of top loader. With a family all over 6" tall front loaders don't interest me, too far to bend, more effort required.